Home News How to be a global staff? VJU’s career session are one of the most important activities given to VJU’s students on the way supporting them to become global staff. 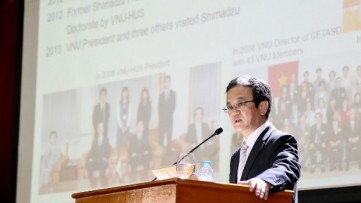 Mr. Masazumi Sugi, General Director of All Nippon Airways (ANA), Vietnam, in his career sessions with Vietnam Japan University (VJU) students, inspired the students by his advice about finding hidden talents inside everybody that make them count in global society. One of the most important thing that Mr. Masazumi Sugi told the students about plan of seeking global staff for ANA is finding the best of the best. "Let me tell you that I am not saying the world’s gate is not so wide open. In anywhere you want to be global society, you have to be one of the top of the top. It doesn’t have to be language. It could be technology. It could be education. It could be leadership skills. It could be anything. Find yourself something better than anybody else.”, Mr. Masazumi Sugi shared. Mr. Masazumi Sugi shared about his journey to ANA Holdings 30 years ago. He was very few in his age who had ever worked in so many foreign countries like he did before. 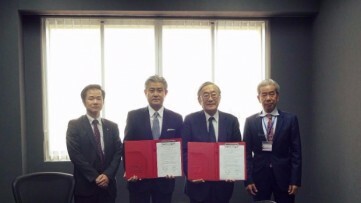 Mr. Masazumi Sugi had experience of working in the United States, Germany and others. In another session form Japan Association for Promotion of Internationalisation (JAPI), Ms. Bui Quynh Trang, who is in charge of introduce VJU students about human resources management, gave some exercises for VJU students to know more about approaches to attract recruiters, especially Japanese ones. As she said, one of the most important things is giving recruiters the best way to memorize your strengths at the first time meeting. Therefore, knowing how to portrait yourself in an interview is vital. Some points must be remembered is presenting your experiences, your achievements and giving the interviewers persuasive evidences proving your experiences, achievements well. 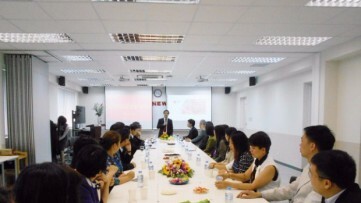 Career session is annual program in Vietnam Japan University, which is designed to help VJU’s students are more knowledgeable about global job offers and recruiting process, especially for Japanese scholarships, companies.